Perfect for Your Recreational Property! Save $15,000 Today! NOW $88,900! This modern- contemporary getaway features spacious views all around, with a full 18 foot high vaulted living room ceiling. 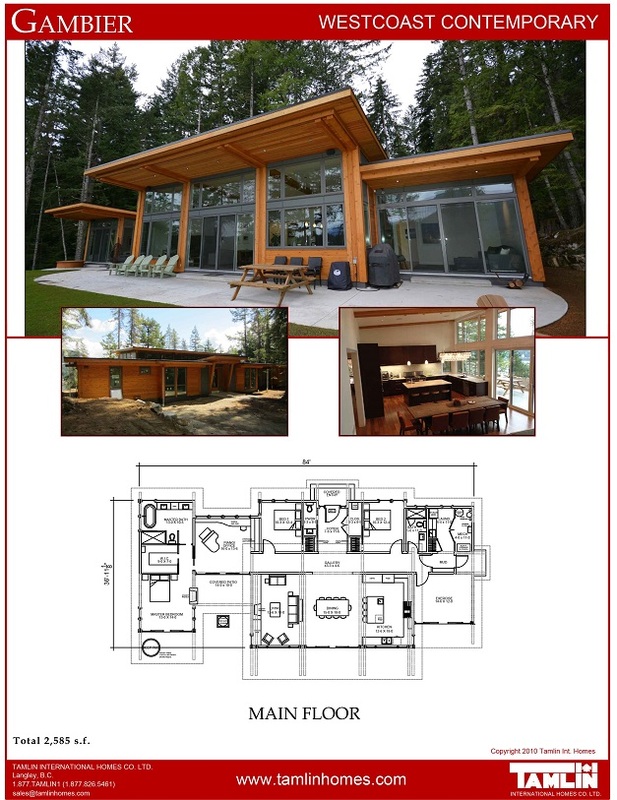 A two-storey open concept plan with exposed douglas fir timbers throughout. Full expanses of glass to take in your scenic views, and easy access design flexibility, with two separate entries. Walk up your custom douglas fir staircase to an open loft area with more views! An open kitchen, dining, living, loft make up this perfect retreat! Come to our factory to see for yourself! Full construction and assembly plans. CALL NOW FOR MORE DETAILS, SPECIFICATIONS AND PLANS!